Discussion in 'Evaluating and Criticising Scientology' started by Veda, Jan 9, 2013. 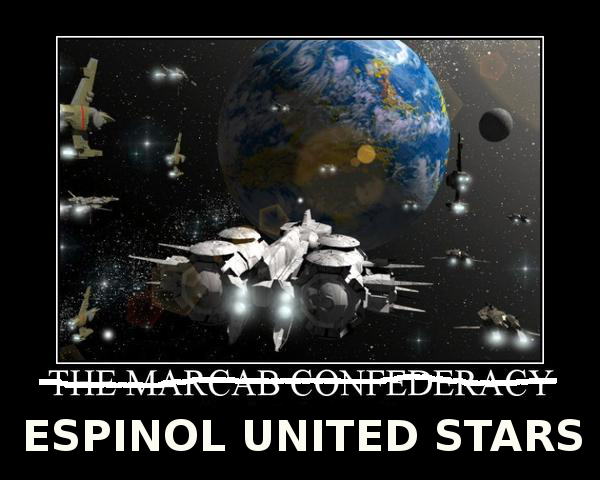 "This society belongs nominally to the Espinol United Stars. This is Sun 12, and it is one tiny little pin point. Their whole title is... 'Espinol United Moons, Planets and Asteroids, this part of the Universe is ours'." None of the below content is confidential. "The Fourth Invader Force was here. The Fifth Invader Force comes into use the area, and the name of this solar system is Space Station 33... The Martian operation is a completely fascinating operation..."
"Well, I know this: that on to this planet there's a great deal of dumping going on. Stuff from the nearby galaxy - not from this galaxy but from the next galaxy over and so forth... They pick you up in droves, and ice cube you and throw you into the sea someplace..."
"Somebody sits up on Venus... there are stations around the system. This one's on Venus..."
"You'll find somebody running around on Jupiter will be built to withstand the climatic conditions... and his legs might be a bit modified and his ams and that sort of thing, but he probably would look like an Eskimo." Hubbard gave the name "The Coffee Grinder" to the MEST aspect of the Fourth Invader Force's Fac One, which he termed "an outright control mechanism, invented to cut down rebel raids on invader installations". It was "originally laid down in this galaxy about one million years ago", says Hubbard, and consists of "a two-handled, portable machine which, when turned, emits a heavy push-pull electronic wave in a series of stuttering 'baps'." Scientology celebrity Juliette Lewis (age 38, born into Scientology) did a recent interview with Vanity Fair magazine and was asked about Xenu, space aliens, etc. She explained that some people are confusing Hubbard's science fiction works with his other studies. I’m not sure how to segue into this, so I’ll just come out and ask. You’re a Scientologist, right? Do you celebrate Christmas? I’ve never been sure about that. Does Christmas count as a Scientology holiday? Oh yeah. We absolutely celebrate Christmas. So you have a tree with ornaments and eggnog and presents and Christmas carols that aren't about Xenu? Do you believe your ancestors were reincarnated aliens? So... you don’t believe you came from aliens? Jump ahead to 3:55 in this interview of Scientology Celebrity, and Scientologist her entire life, Kate Caberano (born 1966), and her husband. The subject of Christmas didn't come up, but there was a question about "aliens." Compare the answer to JL's answer. This is pat PR. Kate Caberano: I've never heard of it in all my three generations. 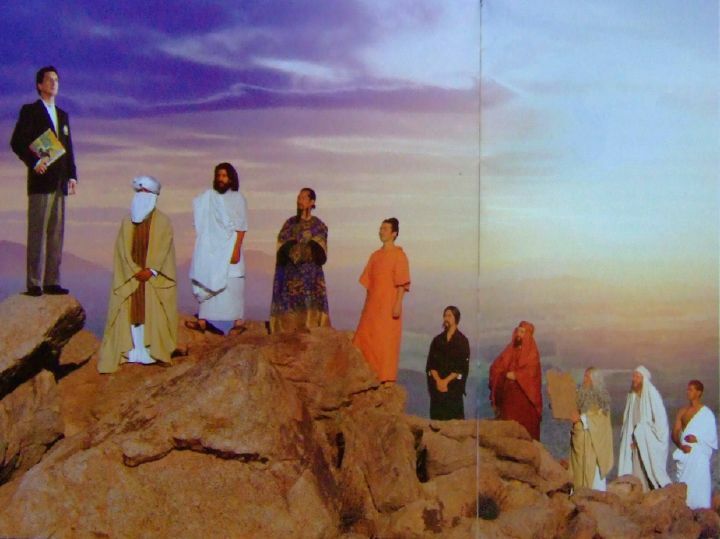 Kate Caberano's husband: I think people confuse L. Ron Hubbard's science fiction work with his philosophical and religious work. PR person Davis is claiming that "it's bigoted, discriminatory, hateful," etc., for non-Scientologists to question Scientologists about Scientology's "confidential, advanced scripture." I guess it would be "bigoted and hateful" to ask about the cover of 'Dianetics, the Modern Science of Mental Health', with its "exploding volcano" which is supposed to create a compliant attitude, in the Earth people, by triggering subconscious memories of events from 75 million years ago. Or about Hubbard's book 'History of Man' (a.k.a. 'What to audit'), or his numerous non-confidential lectures on the "whole track" from February 1952 through the 1960s? MARCAB CONFEDERACY, various planets united into a very vast confederation which has come forward up through the last 200,000 years, is formed out of fragments of earlier civilizations. In the last 10,000 years they have gone on with a sort of decadent kicked-in-the-head civilization that contains automobiles, business suits, fedora hats, telephones, space ships. A civilization which looks almost exact duplicate but is worse off than the current US population. Would it be "bigoted, discriminatory, hateful" to say that Scientologists lie to non-Scientologists about Scientology because that's what they're taught to do in its "scripture"? 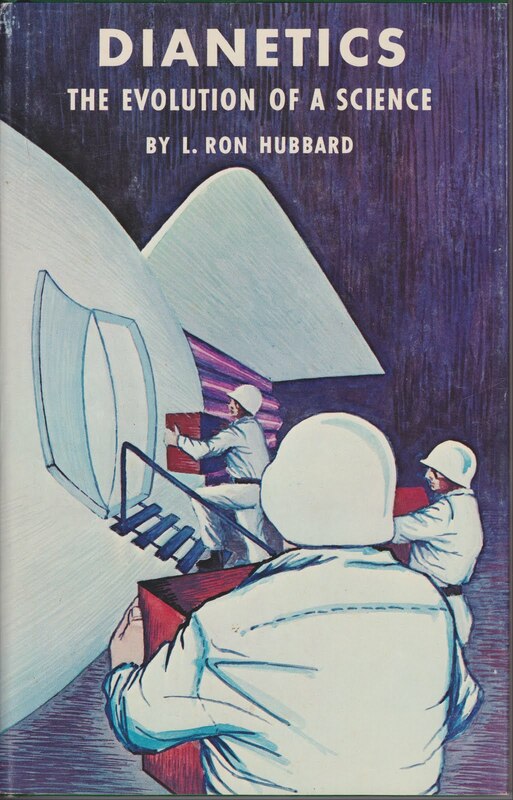 Hubbard provides his followers with a book titled 'What to Audit' which purports to be the cold blooded and and factual account of their last sixty trillion years through out the universe, followed by lectures about fifth invader forces, Marcabians, dumping of beings on this planet from the next galaxy over, space station 33, Venusians, Martians, numerous implants and implant stations on other planets, Xenu, this sector of the galaxy, etc., etc., etc., and, almost forgot, says he's not from this planet, and warns ominously about the guys "up there." 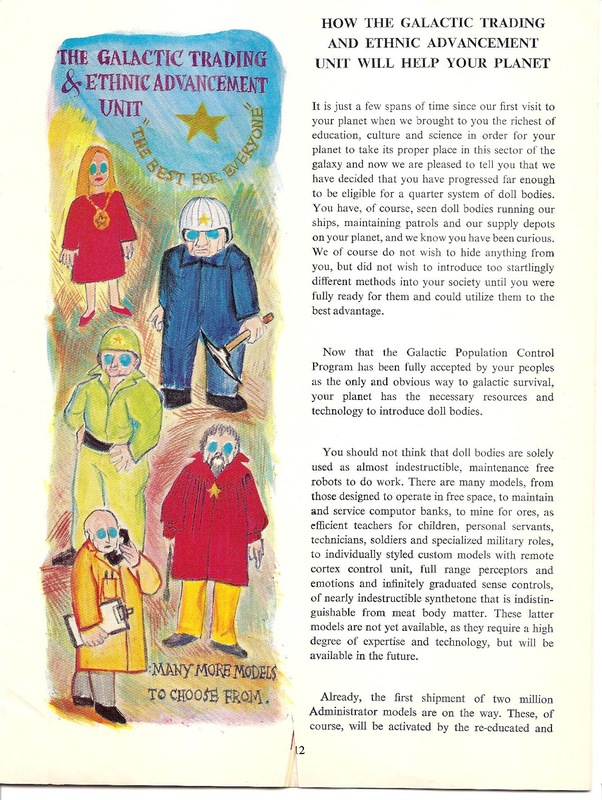 Hubbard as Advanced marketing Unit of Galactic Doll Bodies Inc. "All your BTs belong to Us..."
Note...looked at url...apparently Advance Issue 2. Absolutely wonderful pix from Advance. I remember loving them then as hokey, awkward, stagey, fakery pix and I think that even more so today. Priceless!